Our latest review for Spinmaster is a fantastic Meccano model set - the Motorised Rally Racer Car. 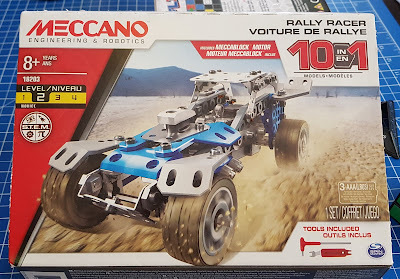 This set is from the 10-in-1 range and there are instructions for 10 model vehicles that you can create from just the elements included here, as well as an infinite number of your own creations. Inside the box is everything you'd expect. 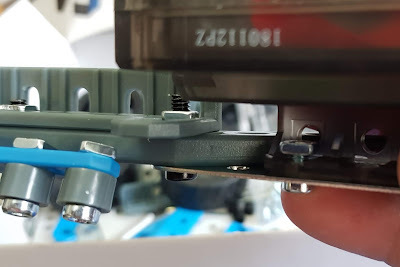 The Meccano elements, metal nuts and bolts, instructions and the all-important tiny tools. 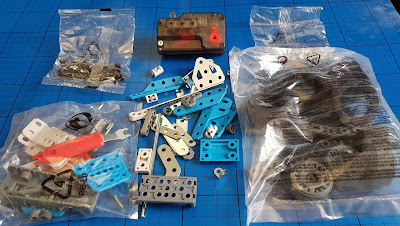 In 120 years Meccano hasn't really changed in principal, and using small version of genuine tools and fixings is very appealing and long-lived. Batteries are not included, you'll need 3 x AA. The Meccano box is sturdy and opens as a tray, so is ideal for storing parts as you build and spares afterwards. 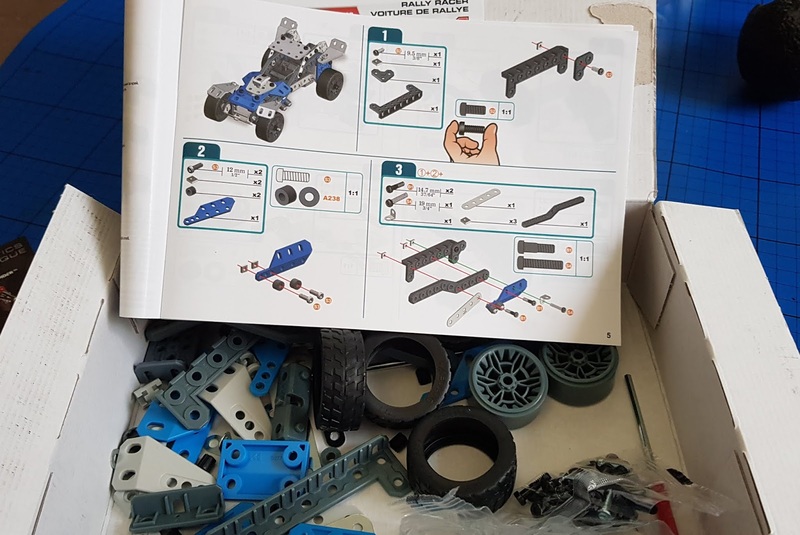 The instruction manual format is the usual very clear and clever one, with life sized illustrations to compare parts. This is a 'Novice' level set recommended for age 8+ and my 8 year old built it almost entirely alone in just under an hour, which I'm really impressed about. I helped with a couple of the fiddlier bits. 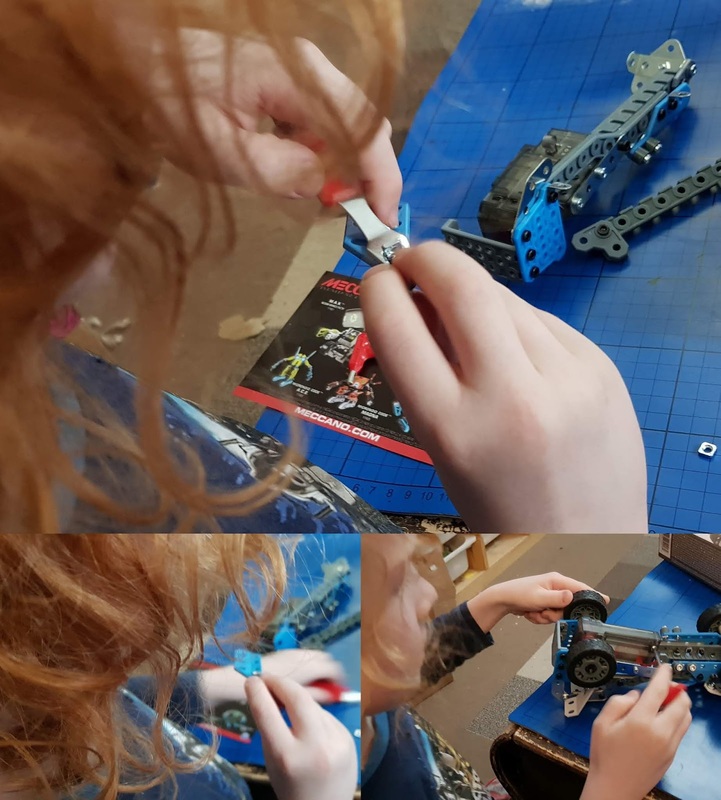 This is the first time my son has undertaken an entire Meccano build, although he's done lots of repairs and rebuilding, and is proficient at other construction toys. He really enjoyed the challenge, whereas a few months ago would have found it frustrating. The age suggestion, for him at least, is spot on. And here's the finished model. It's a very attractive and almost sleek model and incredibly robust. We're really impressed and my son prefers this model over any of the others, mainly because he feels he can be a bit rough with it and it won't mind. We have another 9 different designs to build (you can find them all online), but my youngest is usually a bit more freestyle, so who knows? 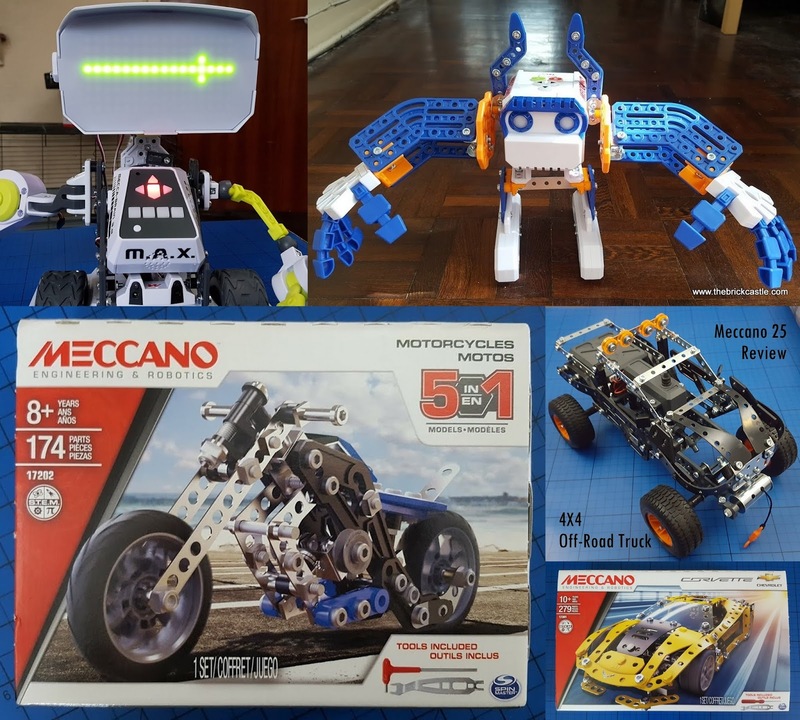 Meccano is an excellent STEM/STEAM toy and encourages design ideas, use of technology, mathematical thinking and understanding of physics. It is also brilliant for building hand strength and manual dexterity. We use rechargeable batteries, which have a pretty short life in this beast, but as you'd expect for power like this. The build was one of the easiest we've done, but still offered plenty of challenge without being frustrating. The Meccano 10 Model Set Motorised Car is suitable for builders age 8+. Available to buy now rrp £19.99 from all good toy shops instore and online, including Amazon, where at the time of typing it is reduced to £16.99 (*affiliate link). There is tons of information about the entire Meccano range on the official Meccano website, where you can also find support and how to replace missing pieces, videos and an instructions database where you can download build instructions for models past and present. 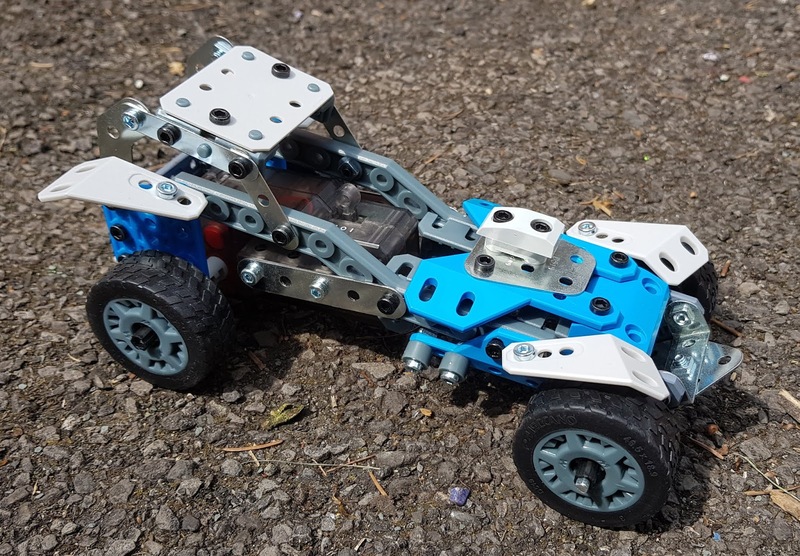 We were sent our Meccano Rally Racer Motorised Car for review. *The Amazon link is affiliate in the vain hope that one day someone will buy something and I'll earn a few pence as a thank you for adding the link. You don't pay any more.